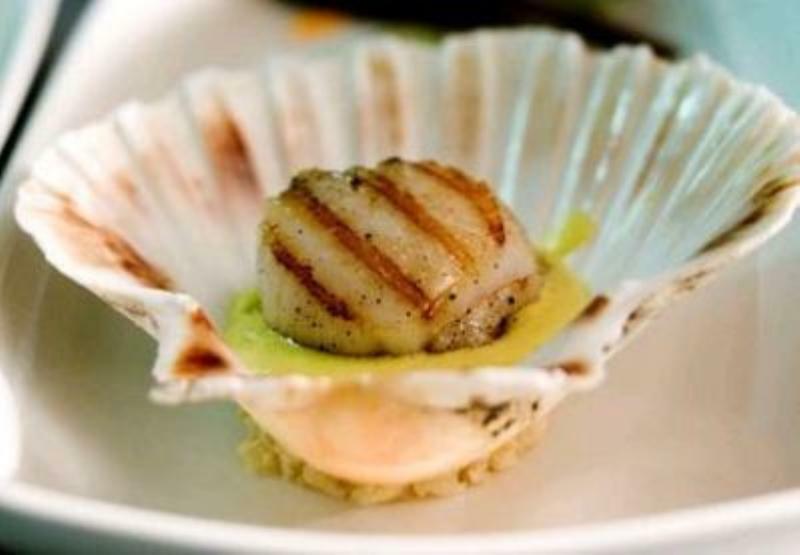 The Mint & Mustard in Cardiff is a modern Indian restaurant that has picked up numerous awards including a coveted Bib Gourmand from the 2013 Michelin Guide. The restaurant has a contemporary décor with walls adorned with scenes of Kerala life and modern furniture. The kitchen is keen to source the very best of freshest ingredients and spices for its inventive cooking that showcases Keralan cooking. There's a choice of three menus, a la carte, tasting menu and vegetarian menu available to diners. From the a la carte choose Nandu, crispy soft shell crab dusted with curry leaves and garlic, served with avocado and bell pepper salad or Seekh kebab, ground lamb crusted with bell peppers and grilled in tandoor amongst the starters. 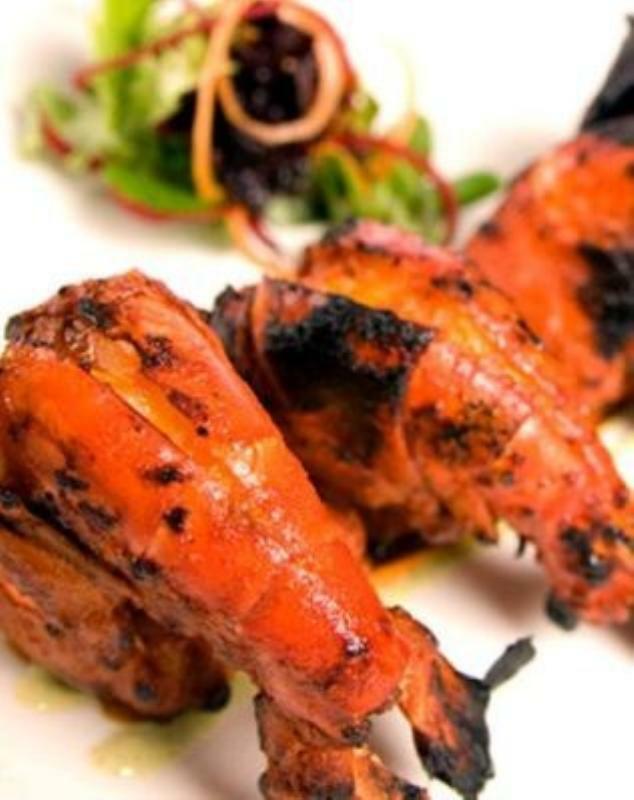 Main courses could take in Alleppey Sword fish, Sword fish in a clever blend of raw mango and ginger or a very tender slow cooked lamb shank served with masala mash and presented in an intensely flavoured sauce reduction. 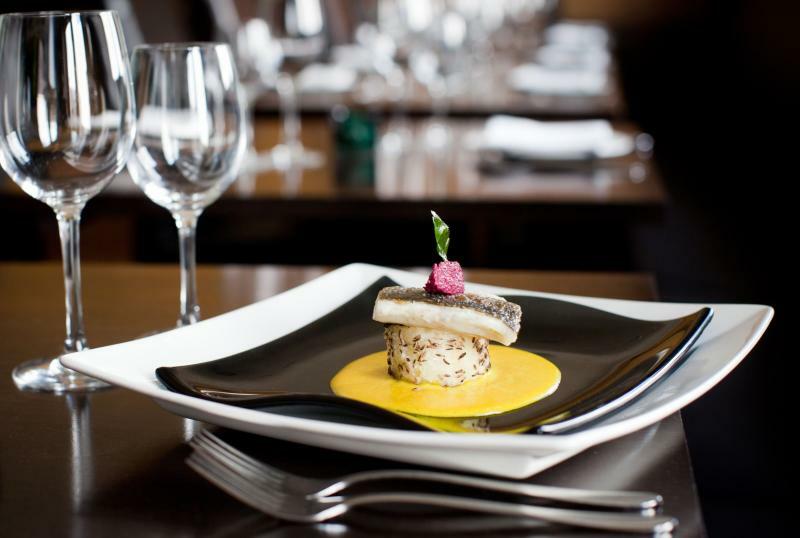 Their sumptuous signature dish of sea bass with mango and curried mash earned Mint & Mustard Cardiff the much sought after Tiffin Cup in 2008. Service is friendly and accomplished and this popular restaurant has a welcoming and relaxed ambience. juices and served with seafood pilau rice. Simply unwrap and enjoy.